Home owners generally must pass an inspection before entering a Purchase Contract in order to sell the home. This is arranged and paid for by the home owner or seller. The inspection may take up to 3 to 4 hours. The inspector usually ensures that required safety measures are in place and that there is no existing structural damage. During the inspection the garage is an integral portion of the home and will be thoroughly inspected as well. One of the first things the inspector looks for is the security of the garage. For example, it is best to ensure the garage door opener is up to date with technology. Garage door openers are now available with rolling code. Openers with rolling code generate a new code each time the garage door is opened or closed. Criminals are not able to hack the opener to steal the code and valuables. All garage door openers must have an auto reverse feature. Simple tasks such as organizing items on shelves and in totes can change the entire safety structure of the garage. A few well-placed shelves and peg board can change a garage from disaster to wow. There are also brackets, hooks, and wire baskets to consider. These may be used to sort out and store anything from tools to crafts and/or toys. Be sure to properly store hazardous chemicals and power tools out of harm’s way. Garages share common walls with the living space of the home. These walls should be reinforced with 5/8 inch, fire rated, drywall, sheet rock. The seams should also be coated with a least a single layer of tape. Use a tape compound to patch any voids in the drywall as these voids cause breaches in its fire structure. The door which allows entrance into the home from the garage should be made of fire rated metal and contain no glass windows. Solid wood and hollow core doors do not meet fire safety regulations. It is also best, if the garage floor is dropped about four inches to prevent oil and/or gas spills from contaminating the living area of the home. There should be no exposed and dangling wires or pipes in the garage. There should be no open power boxes or broken switch and outlet plates. Some of these things are do it yourself projects which are extremely inexpensive. Major wiring or plumbing projects should be completed by a qualified professional. Check all structures such as wall, doors, windows, floors, and stairs for structural damage. Any deterioration should be immediately addressed and rotten wood replaced. 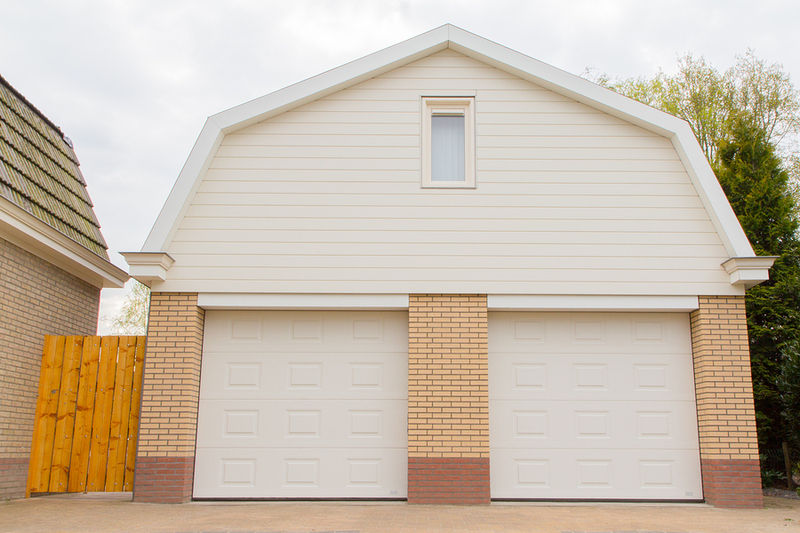 Simple tasks such as a new coat of paint or seal for the concrete garage floor and a fresh coat of paint for the garage door are inexpensive projects when compared to the ROI. These small improvements can increase the speed of resale. They can also dramatically raise the asking price. Contact our team at Perfect Solutions Garage Door to discuss which improvements your family should make before the big inspection. We are very familiar with local regulations and building codes as well as what elements potential buyers look for. We would be delighted to visit your home to increase your family’s ROI.